Amenities include a Room for Tack & Tack Sheds, Hot Walker, Large Arena, Two Wash Stations and Two Large Round Pens. Fully matted with Shavings Includes Feeding, Shavings, Alfalfa and Cleaning 6 days a week. Includes Feeding, Shavings, Alfalfa and Cleaning 6 days a week. 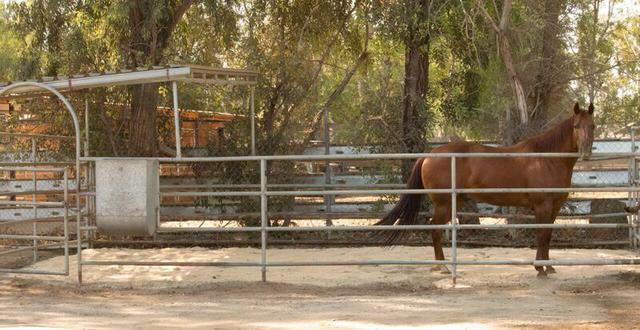 Include a Room for Tack & Tack Sheds, a Hot Walker, Large Arena, Two Wash Stations and Two Large Round Pens. We also strive to make our ranch feel like a second home for your family. We work hard to provide well kept grounds, a welcoming environment and cozy seating areas for you to rest under the shade while enjoying the beauty of Heavens Ranch.